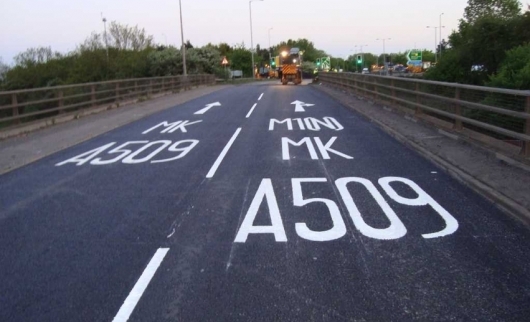 A number of different processes are available to the MK Highways team when selecting the right treatment for a road surface. It is a decision based on collected data, road use and experience when making this decision, the following list gives the main options available, for more details click on the links for each for the benefits, appropriate use and cost. Surfacing involves removing (planing) the existing road surface and laying a new hot bituminous material layer to the same level. Surface dressing involves applying a thin coating of bitumen on the existing surface after which stone chippings are spread and rolled into the surface. Micro-Asphalt surfacing involves spreading a fine cold mixed thin asphalt over the existing road surface. GripFibre surfacing involves spreading high performance cold mixed thin asphalt strengthened by fibres over the existing road surface. 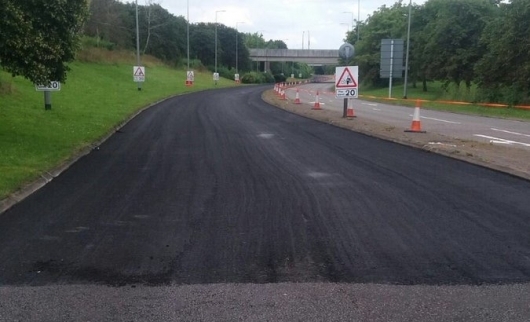 Asphalt Preservation is a preventative maintenance treatment for tarmac/asphalt which works through the application of a bituminous product spray applied to the road surface, it acts to preserve and protect, helping to seal the existing surface against the ingress of water which can help to prevent pothole formation. This involves the removal of the existing road surface, processing the material, adding new bituminous binder, then relaying the recycled material as a new layer. Retexuring involves the mechanical reworking of an existing surface to improve its frictional skid resistance. In addition to improving road safety, the re-use of the road surface via retexturing considerably reduces resource and energy consumption. High friction surfacing is available as hot or cold applied systems. Cold applied involves the even application of a tough liquid binder onto the road surface followed by the application of calcined bauxite aggregate. Hot applied systems involve the application of a hot pre-mixed material consisting of binder and calcined bauxite.